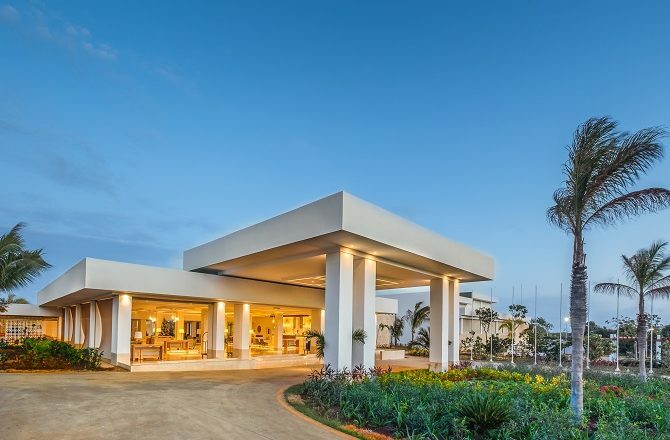 The Dhawa Cayo Santa Maria has finally opened and is poised to provide Cuba’s established hotel operators with some much-needed competition. Dhawa is a relatively new brand but its parent company, Banyan Tree, is highly regarded for its luxurious hotels. Based in Singapore, most of its properties are based in Asia although they already operate the very successful Banyan Tree in the neighbouring Yucatan Peninsula of Mexico. 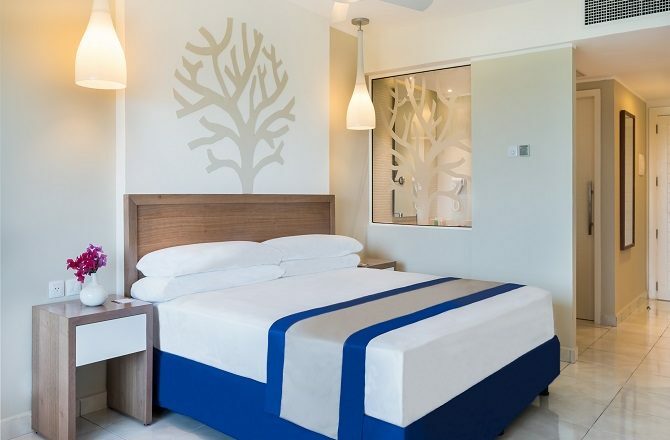 The Dhawa brand will not attempt to provide the same level of luxury as the Banyan Tree brand but, instead, aims to provide a slightly more relaxed and contemporary experience, something tailored to the unique charms of Cuba. According to the most recent press release, the Dhawa Cayo Santa Maria is the first of four hotels planned for the island. Although no further details have been provided, there has been talk of them taking on the floundering Pansea Trinidad project. As the hotel has only just opened, and I haven’t had a chance to sample the loveliness, herewith the official press release from Dhawa. “Located in Cayo Santa Maria, a province of Villa Clara, Dhawa Cayo Santa Maria presents white sandy beaches, stunning landscapes along the Caribbean Ocean, warm beautiful people coupled with Cuba’s musicality of African and Spanish beats that will make for a wonderfully intriguing visit. Edgy, cool and sassy, Dhawa Cayo Santa Maria will be the first and only all-inclusive lifestyle resort with a private beach in the area. As the first Asian hospitality group to enter Cuba, guests can look forward to the Group’s signature hospitality and a fun and memorable stay where they call the shots. With chic comfortable rooms, all-inclusive dining experiences that range from French, Italian to local Cuban specialities – not forgetting the iconic mojito, and a wide array of complimentary activities along a pristine ½ km of beach, guests can get out or stay in, chill or just have an awesome adventure under the warm Caribbean sun. Dhawa Cayo Santa Maria makes it cool to care by being the only resort in the area to offer environmental conservation activities with a focus on caring for flamingo birds which gather near a small lake by the hotel’s Fuego Del Mar restaurant. This is aligned to the Group’s emphasis of placing sustainable tourism at the heart of everything it does, while discovering new fantastic destinations”. All I can add to this so far is a slight cautionary note when it comes to actual location. Avid followers of this site (hello?) might recall a previous article I wrote about Dhawa Cayo Las Brujas. Despite the name, the Dhawa Cayo Santa Maria is actually located on the island of Cayo Las Brujas, some 10kms away. So why the name change and does it matter? 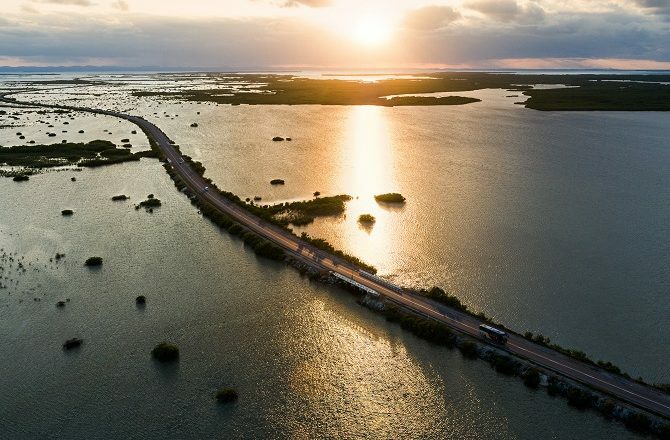 Well, the name change is simply because Cayo Santa Maria is much better known (there is currently just one, other, very basic hotel, on Cayo Las Brujas) and I guess the powers that be didn’t want to miss out on all those internet searches for Cayo Santa Maria. Does it matter? 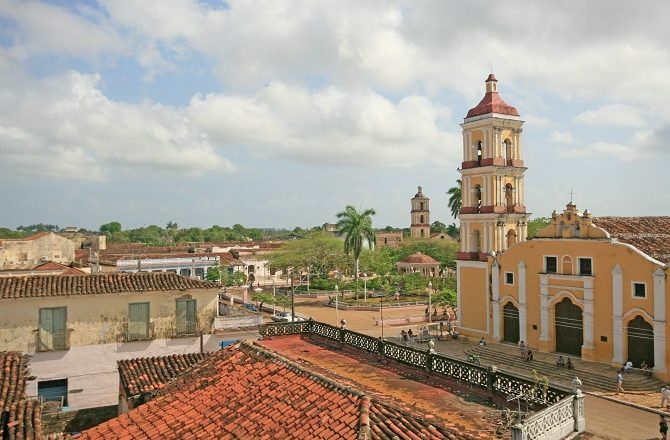 No, not really – some people feel that Cayo Santa Maria is already getting too built-up while Cayo Las Brujas is also a shorter drive along the causeway to the mainland and the charms of colonial towns such as Remedios (below) and Caibarien.